Capacity: SPEED RANGE 5-45 STEPS/ SEC. 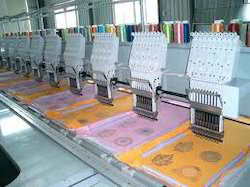 PVC/Latex tufting machine is used to manufacture coir mats with PVC or Latex backing. The mat is made by tufting the coir yarn on the PVC or Latex base. 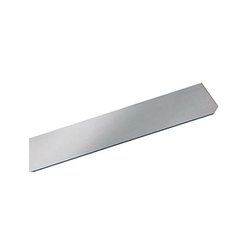 This has the advantage of cutting into any shape without edge finishing. This mat is in great demand in International market. We can undertake the project on turn key basis. Catering to the diversified expectations of our clients, we are offering quality assured Multi Needle Tufters these are made by latest method with latest technology. These Multi Needle Tufters utilize superior technology and can accommodate larger number units of diverse dimensions. Our machines are highly appreciated for their high productivity and longer functional life. This machine sews on both sides of the fabric at the same time. It is available in 4 or 8 needle 1/4 gauge or 4 needle 3/8 gauge. A loop is formed on the top of the base fabric at the same time a cut pile is formed on the bottom of the fabric. The most popular pile range is a 3/4 loop pile and 3/8 cut pile. ADT-ZM200A 2 Axis Control System For Brush Tufting Machine. Strong anti-interference ability; Short circuit protection for output; with long product life; Be able to customize the system; Users can upgrade the system by themselves; Multifunction, reasonable price, best cost-effective in the same products. Perfect combination and optimal interaction The Groz-Beckert system concept for application of tufting gauge part systems in all relevant tufting applications is a systematic development scaled to ever-increasing industry requirements for precision and process reliability.